Dear BenevolentAI Team, we have come a long way from our earliest ideas about how AI would transform pharmaceutical development in 2013 to our recent announcement of our $115m funding round - one of the largest equity investments in the rapidly emerging AI pharmaceutical sector. I am immensely proud of what we have achieved and of the inspiring talented team of people that have made it happen. When I founded BenevolentAI, I had two very specific ambitions. Firstly, I wanted to build a technology that could ingest, read and contextualise all of the worlds’ available bioscience information, to establish facts from that information, and create the definitive connected bioscience knowledge base. Secondly, I wanted to create a “thinking” technology to reason on all of those facts, create completely new ideas and a unique understanding of disease so that we could develop better treatments and cures, faster. Our thesis was ‘Right drug. Right Patient. Right time.’ I recently rediscovered this innocuous looking doodle that, to me, holds enormous significance. It shows, from a blank sheet of paper, where we started. It was the genesis of Benevolent. In 2012, having sold a large European biotech that I’d founded, I was thinking more deeply about the drug discovery landscape. I saw an industry facing some profound challenges. Principle amongst these was slow innovation and a narrow view of how knowledge could be applied across the scientific process. The traditional approach to drug discovery and development is largely driven by individual experts, working within an environment that can be exceptionally inefficient and disordered in driving innovation. The best-read scientist often dominates the conversation, influencing their peers and driving invention forward based on their individual bias and understanding. This can create boundaries to the exploration of new ideas and result in ‘innovation entropy’. Unwittingly, we, as scientific domain experts, were limiting the potential of our scientific community, their capacity for creative invention, and the profound potential benefits of the application of their ideas in society. In this context, I found myself repeatedly referencing an Einstein quote: “The more I learn, the more I realise how much I don’t know.” Bioscience knowledge was being interrogated to understand and cure disease, certainly – but the industry was not looking at what it didn’t know. A key inspiration for me was the deep learning, seminal paper presented at the 2012 NIPS conference https://papers.nips.cc/paper/4824-imagenet-classification-with-deep-convolutional-neural-networks. This paper described to me how, using neural networks, a machine can learn from partial knowledge to create a complete picture. It suggested to me that, theoretically, a machine could help fill in the missing blanks in our understanding of disease - if the technology was developed in the right way. I thought, imagine if we could learn from what we know about disease, to find the things we don’t know? Could we create a fundamental shift in the way we understand disease? Could we move away from the existing abstract, language-based approach of linking patients by a common diagnosis, to linking them via the specific underlying molecular causes of their disease? At the time, this was a ‘way out there’ idea, principally because the technology didn’t exist. Therein was our fundamental challenge - no technology at that time could do this. So... we created one. A technology that could read vast volumes of bioscience information, determine meaning and then reason to generate new understanding. At the time, there were only a handful of technology companies beginning to explore the potential of AI in any industry. Today, six years later, we have seen significant growth in AI-enabled companies, particularly in the pharmaceutical sector. These companies fall into two categories. We see startups that apply AI to a narrow part of the drug discovery process, and we see larger tech companies, aiming to build generalised AI technologies. When founding Benevolent, we thought big and, crucially, we thought specific. From the beginning, I wanted to reinvent the entire, end-to-end drug development process. I wanted to disrupt the existing, fragmented and vastly inefficient knowledge ecosystem. We set out to create a directional, consequential and deliberate technology for bioscience innovation. 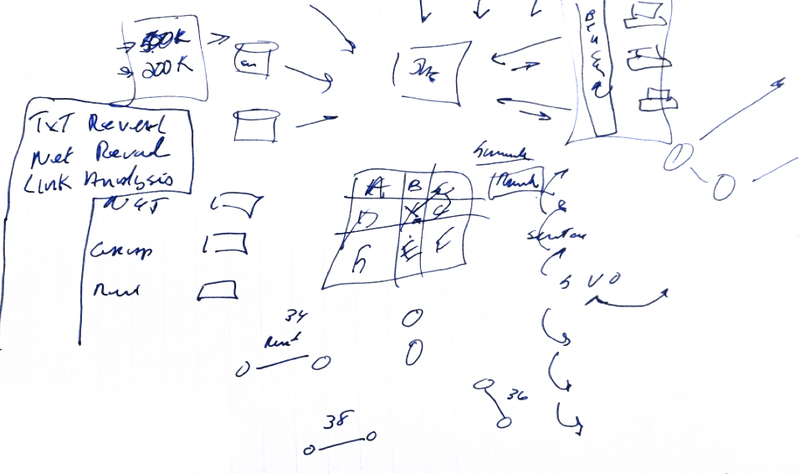 To do this, we built a team and technology with a commitment to deep drug development expertise and state-of-the-art AI, and crucially, we did it without boundaries or constraints... a blank piece of paper. Our ownership of the entire vertical released us from ‘old school’ dependencies that would have held us back. Similarly released were our deeply specialised, expert and experienced team which has thrived in an environment that allows them to experiment and iterate at speed, with a primary mandate to innovate, and the freedom to do so. It was a huge undertaking and incredibly complex. But our commitment to state of the art, the results we were seeing from our technology, and our ability to capture the entire drug development process, has moved us forward to our vision. What’s interesting – in a company that measures everything - is that an integrated tech/bio ‘system’ is more than the sum of the parts. Our deliberate approach to doing things differently, our founding instinct to start with a blank sheet of paper, is dissolving traditional silos and breaking down current barriers to material progress in the application of AI for scientific innovation. Today, this appetite for challenge has created a BenevolentAI brain with more than 50 billion complex biological concepts – the world’s largest most sophisticated bioscience knowledge base. The technology that sits on this knowledge is able to generate new insights into the cause of disease at a scale not possible for human beings alone. It is capable of generating medicines with unprecedented efficiency. Already, we have 22 validated drug candidate programmes, wherein our technology is being used to develop treatments for Motor Neuron Disease, Parkinson’s Disease, Glioblastoma, and Sarcopenia. We have created an AI-enabled, fully integrated pharmaceutical discovery and clinical development company. I believe that we are completely unique in our sector, and the investment community has confirmed their confidence in our approach with the level of investment we recently announced.